The Bread Ministry offers a variety of bread and baked goods from local supermarkets available to families in need free of charge. 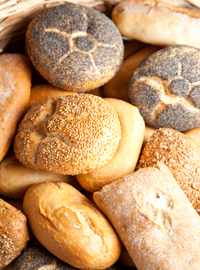 Usually there is an assortment of bread available for your choosing. Occasionally we have bagels, muffins, pies and other sweets. The bread ministry is available at the Thrift House Thursdays and Saturdays from 9:00am to 3:00pm. For directions to the Thrift House please click here.